Successful customer events and open houses don’t happen by accident. 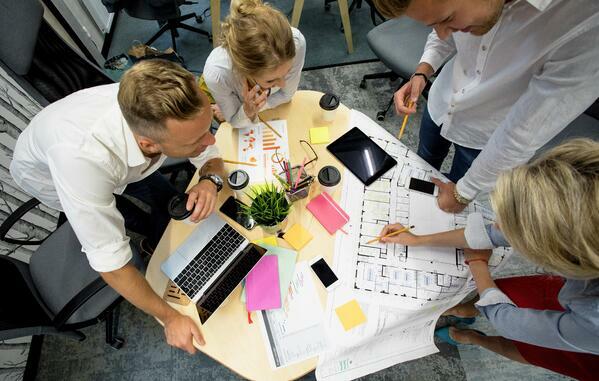 To realize tangible results you will need alignment throughout your organization on event goals, event strategies, and project planning responsibilities. You’ll also need a cross-functional team to execute the plan. Everyone (yes every person in your facility) will need to know what you are planning, and your reasons for hosting a customer event. Each employee will have a role before, during, or after the function. Treat the planning and execution of the event like you would an important customer project processed through your shop. With senior management support and some teamwork you can create great customer experiences and showcase your facility or new technology. In my last post I shared reasons to consider hosting customer events. Today I will give you ideas and best practices I’ve developed after decades of helping companies like yours. You can use this list to make sure your next open house or other event generates real, actionable results. Once top management has approved, the next step in crafting a results-driven customer event is building a team. No one can do this kind of project alone. Assemble an event team that will define tasks, set deadlines, secure resources, and establish budgets. We recommend building a multi-talented team with 4-6 key members. You can add other resources to the team as your project progresses. Eight to ten weeks before the day of the event isn’t too soon to begin preparations. Our event planning guide lists eleven areas to address. You can break down tasks from these steps and assign responsibilities to various team members. How will you measure success? Be clear and concise so you can remind staff in all your departments about what you hope to achieve. Be clear on the two or three things you want to accomplish. This will set the tone for the entire design and execution process. What content will compel your customers and prospects to come to the event? We recommend educational content and a little fun. To get customers and prospects to leave their offices and take the time to attend, you must deliver compelling and relevant content. Share updated industry information, promote the highlights of your facility tour, or introduce your new capabilities to potential attendees. Customer success stories and teasers about topics covered by your guest speakers can all be effective in encouraging customers to take part. If you will conduct a raffle or plan to bestow gifts on the attendees, be sure to feature those points in your pre-event communications. Many of our print service provider clients with digital print capabilities have seen great results when they promoted their events as a cross-media campaign. They combine direct mail, landing pages for registration, and email or SMS follow-up messages – all personalized. The outbound communications must include images and messaging crafted to create interest and excitement about attending your event. They are also a demonstration of your capabilities to create and execute such campaigns, and their effectiveness. Put plenty of thought into the communication plan and don’t cut corners. Print companies sometimes neglect to produce communications to inform the staff about the strategy behind hosting the event. Regular updates should relate your team’s progress towards project goals. 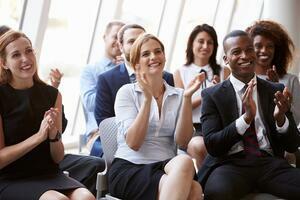 We recommend a planned series of internal bulletins to ramp up enthusiasm among employees. Meetings with department managers will ensure they fully understand the organization’s purpose and objectives. Keeping the managers engaged guarantees participation and acceptance of responsibility for their roles in producing positive outcomes. 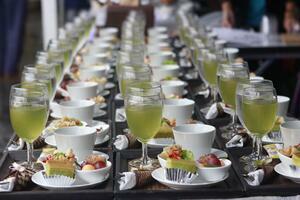 You can run successful events on a moderate budget. The amount you will spend depends on how much you can do in-house. Outsourcing event management services will be more expensive, as will hosting the event outside your facilities at hotels, restaurants, or other venues. 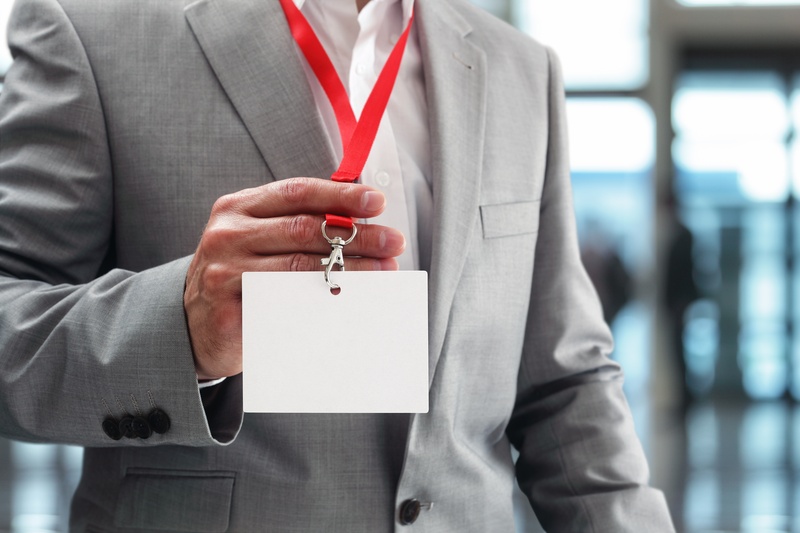 We recommend planning for expenses to include food, beverages, outbound communications, guest speakers, audio, video, promotional products, signage, uniforms, name tags, etc. Managing the budget will enable you realize an attractive return on your investment. Besides the names, addresses, and emails for potential attendees, we recommend gathering data necessary for personalized communications. This may include gathering data like phone numbers, job titles, and vertical markets. You might have stored this inform-ation in multiple, unconnected systems and not in a centralized CRM. You may take advantage of outside data sources to augment the data you can acquire from your own databases. Be sure to review the data for accuracy before producing customer-facing communi-cations. Misspelling a customer’s name or company is a sure way to cool down customer enthusiasm. Logistical details include determining where guests will enter the building, where they will park, and who will greet them. You must decide if you will provide an agenda, name badges, literature, or other items when guests arrive. If a tour or demonstration is part of the event, be sure your guests will be able to hear the speakers and move safely about the facility. Plan for an area where you will serve food and drink, where to store coats and bags, when you should pull names for prizes, and where speakers will make their presentations. Be sure to plan a traffic flow that accommodates late arrivals and early departures. A comfortable socializing environment includes food and drink. Tie the offerings into your event theme and consider the time of day or the season, such as serving hot dogs for a baseball-themed event in the summer. Add themed signage to the outside of the building and in each area where customers will stop for a presentation, tour, registration, and rest rooms. You might include a backdrop reinforcing branding and the event theme while encouraging video and picture taking (and social sharing!). If your company does not have internal capabilities to create signs and banners, you will need to factor in time and budget to get signs produced externally. Use promotional products for raffles and prizes. They are an excellent way to create memorable interactions with the attendees and to reinforce your brand. We recommend selecting promotional products that are useful and demonstrate your capabilities. Coach your sales, client service, and key managers to facilitate networking among the attendees. This interactivity can dramatically contribute to a successful event. Attendees may know only one or two people from your company. We strongly recommend scheduling an internal planning session when the attendee list is nearly final. Give your client service and sales teams time to plan for introducing customers to key staff members and other attendees who could find value in meeting each other. A customer event is often the driver for finally attending to maintenance and general cleaning tasks that are overlooked during busy production periods. Improvements may involve paint, carpet and floor cleaning, tidying up areas where you regularly store materials or supplies, and updating internal signage. Arrange materials and pallets to allow enough space for guests to move from one area to another and brighten the lighting. We’ve helped many print service providers execute open houses and other customer events. When they follow these eleven steps, they tell us the affair differed significantly from those they’ve hosted (or attended) in the past. Carefully planned and executed events produce results that surpass the typical experience. Follow the plan and you won’t be left wondering if the whole effort was worth it. With clear objectives and purpose, customer events have allowed our clients to forge profitable relationships with their customers. They often add work they would never have known about if not for the focused conversations that happened at the open house. Yes, events are a lot of work. But the rewards are worth it! Find out how Gimbel & Associates can help you plan your event.